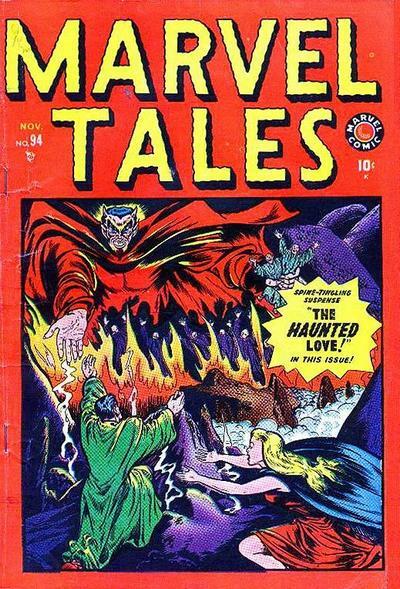 Marvel Tales #94, Marvel Comics, November 1949. I spend Labor Day labouring with my crew on putting our shop back together after our massive Fan Expo undertaking. Combine a massive 4-day con with a massive 27′ x 32′ island booth and you end up with a massive amount of work and a massive post con cold. I’m a tough guy though so there’s no way I’m not doing a post tonight. Our editor Scott recommended that I get one prepared beforehand but what does he know about modern agriculture!? I went into the con with my eyes peeled for future Spotlights and I did find a few, including tonight’s. I was surprised with the number of young men that approached my booth with pre-code horror comics. These young guys are aggressive in their pursuit of these gems and I enjoyed chatting about the holy grails of the collecting strain, the abundance of great covers and the overall cool factor associated with pre-code horror. 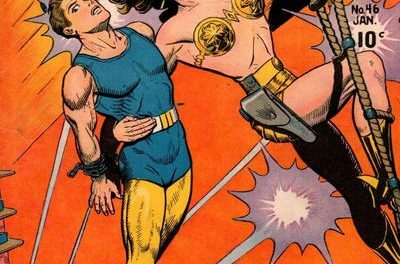 One young man happened to be carrying around a rough but respectable copy of this week’s Undervalued Spotlight, Marvel Tales #94. It was a lower grade raw copy that he said he found at the con for $150 CDN. Seeing that stunning Devil/Burning Hell cover gave me a flashback to one of the more doofusish decisions I’ve made in my bad decision prone comic book career. Once, years and years ago at the Philly Wizard con I believe, I passed on a tight looking copy of Mask #2 with its famous Devil cover. Oh well. I told the young man that it was a sweet pick up, I even checked GPA for him and saw that some mid-grade copies have been selling in the $500 to $700 range. Cheap. 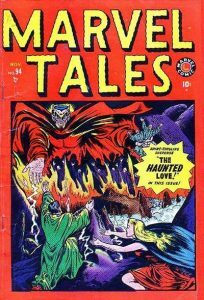 Personally, I love this early run of Marvel Tales, there are a bunch of great covers there and most are undervalued in my view. I think the market is cool to these issues because they don’t have the gore and nastiness of some of the other pre-code horror stuff that other publishers were doing but this book is a gem and the next one to reach an auction will fly through current prices, I know I’ll be bidding! The 48th Overstreet price break for this book is $444/$947/$1624/$2300 in the 6.0/8.0/9.0/9.2 grade splits. Great pick Walt! 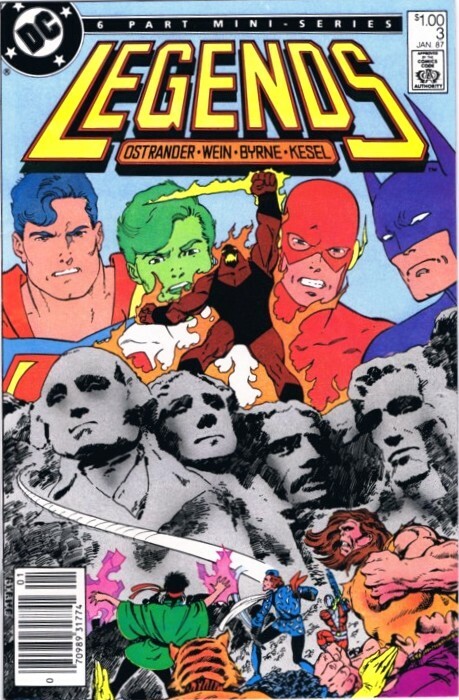 This book is like Marvel Tales #2 as the Marvel Tales title began at #93 following the end of the famous golden age run Marvel Mystery Tales #1-92. Awesome cover on this book. I have also had chances to own this book and muffed them. I have owned #99 & #103 and they are just like you say, less gory and nasty. More along the lines of the late Atlas horror books. I think they are a bargain. I am still kicking my behind for not getting in on the Marvel Tales #93 (4.5 $757) in last weeks C-Link auction. No question and I agree with your thoughts. My view is that the pre-code horror run-up has a lack of nuance but this will change, particularly if you have new people looking at these books. Gore, torture, zombies and skulls will always lead, but I think that the combination of scarcity, other Code-disapproved subject matter, and great covers will bring along great books like this one that have been somewhat overlooked. I will be bidding too and I might be too engrossed in the bidding to notify you if I run across one of these, apologies in advance. Looking at the Marvel Tales covers, I think another detractor from demand is the busy multi-paneled covers that start with #96. I think that these are an acquired taste, say along the lines of many Brio covers, and they lead to relatively unattractive thumbnails on auction sites and so are easy to pass over. Compare #94’s cover to #103 for example. If you look into #103 it is chock full of absolutely crazy over-the-top goodness, but in a thumbnail it looks like a colored Johnson Smith Co. ad. This problem starts to abate with #107 as the main panels then feature larger characters with less background detail, but there still is a crowding-out problem. For this reason I would be careful about buying and really look for a choice specimen at a good price. I like it. I’ve tried several times in the past to win a copy off Ebay to no avail. One of the best covers in the run. You are so right Chris, the Marvel Tales covers really do have their ups and downs, I think the best one/two punch comes from #94 and #95 – and the market goes crazy for #95. 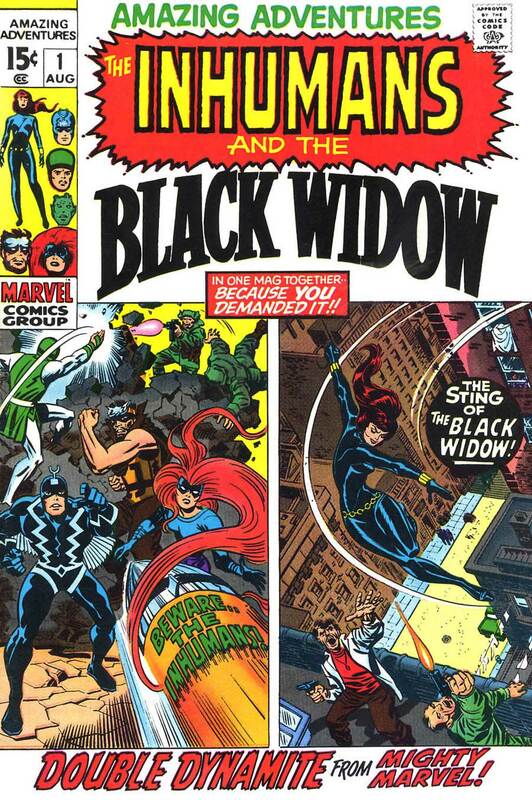 Those multi-panel covers are slow probably because very few collect complete runs these days !